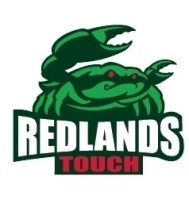 2019 Redlands Crushers Coaching Applications will remain open for Div 1 & 2 Men's. SENIOR ROUND DATES S1 2019 & Cond of Entry. Our facebook page is now up and running. Simply click on the Facebook link, located on the lower right hand side of this page, log in or join facebook, then click 'like'. Once you do this, you will automatically receive the latest news updates from the club as they happen, delivered direct to your facebook home page.